New Years Eve cruises on Avalon are a great option for people looking to hire a boat for larger numbers at a low price. Avalon can hold up to 40 people on New Years Eve cruises and at $15,000 it is one of the cheapest boats on a per person basis that we work with. Avalon is usually one of the first boats to get booked each year and most people use it as the benchmark for what type of boat they are looking for on Sydney New Years cruises. 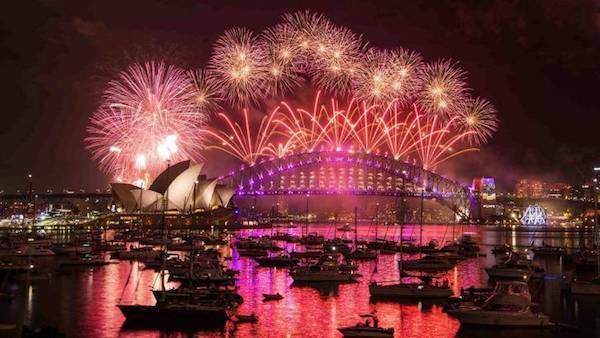 What makes Avalon so good for Sydney New Years Eve cruises is a combination of things starting with the boat itself. Avalon is a single hull boat with an extra large open deck. The deck plays such a large role in New Years cruises because you want your group to be able to see everything that is happening around you on Sydney Harbour without having to look through windows or out from under roofs. And when it comes time to watch the fire works you need to be able to look up into the sky without any Obstructions. Although the deck on Avalon is perfect for New Years Eve cruises the boat does also have enough under cover and indoor space to accommodate everyone if the weather turns bad. Inside Avalon's cabin is a small seating area and table as well as bathrooms which are of course essential on New Years cruises when you are out on the Sydney Harbour for so many hours. Another of Avalons great features is the fact that you can use the whole boat including the foredeck on New Years Eve cruises. There are a lot of boats that have restricted areas but on Avalon there aren't many places that are off limits. It is nice to be able to get out onto the foredeck every now and then to enjoy your new years cruise away from the group and to get a bit of a breather. The other attractive thing that Avalon has to offer is the fact that they allow BYO for New Years Eve cruises. There are some boats that charge a lot more for new years eve cruises since they factor in food and beverage costs. By Avalon allowing BYO you can go as basic or as extravagant as you like for your New Years cruise. Take a full seafood buffet, or a few vegemite sandwiches. It is completely up to you. The same goes for beverages. We have had clients take cases of Verve onto Avalon for New Years cruises and others that have taken cheap casks. The flexibility is perfect. And of course one of the most important things is the crew on board Avalon. The crew on a New Years Eve cruise can make or break the night and the crew on board Avalon are great. 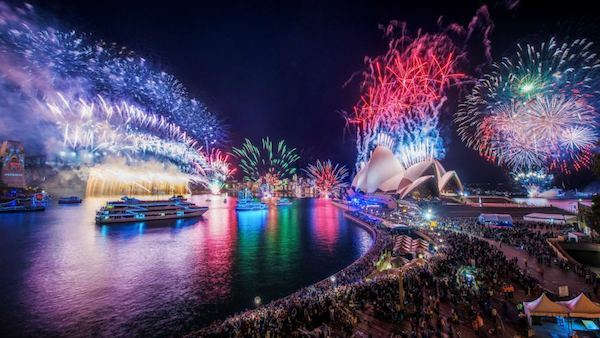 The owner and his crew are young guys who’s sole purpose on the night is making sure that your Sydney New Years cruise is a success. They are happy to help you as the night goes on but don’t get in your way and spoil the party. Avalon is one of our favourite and most practical boats to experience a New Years Eve cruise on and if you get the chance you should consider hiring this boat. Submit an enquiry now and our staff are happy to organise the booking.